When Lewis Beard was six months old he was diagnosed with profound hearing loss. The diagnosis shocked his parents because there was no history of hearing loss in the family. “I started grieving for the child I thought I had. At the time you think you have this perfect child and then there is something really wrong. We were devastated,” recalled Lewis’s mum Angela. However Lewis, now nineteen-years old, never learned sign language and can communicate with anyone and everyone. He says he is “extremely lucky” that his parents found The Shepherd Centre. Lewis undertook early intervention and the years of therapy, both at the Centre and at home, ensured his language, vocabulary and speech skills were on par with those of his hearing peers. Consequently, beginning ‘big school’ meant enrolling into the local mainstream school – something his mum had thought was impossible. “When Lewis was diagnosed I thought he’ll never have any friends and that kids will tease him his whole life. He’ll never speak normally, or converse with is grandparents, or go to the local school,” she said. 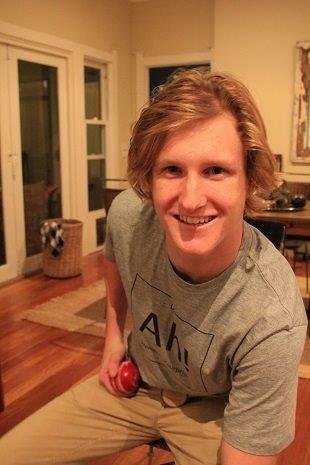 The keen sportsman has a passion for cricket and surfing and is enjoying studying chemical engineering at the University of Sydney.